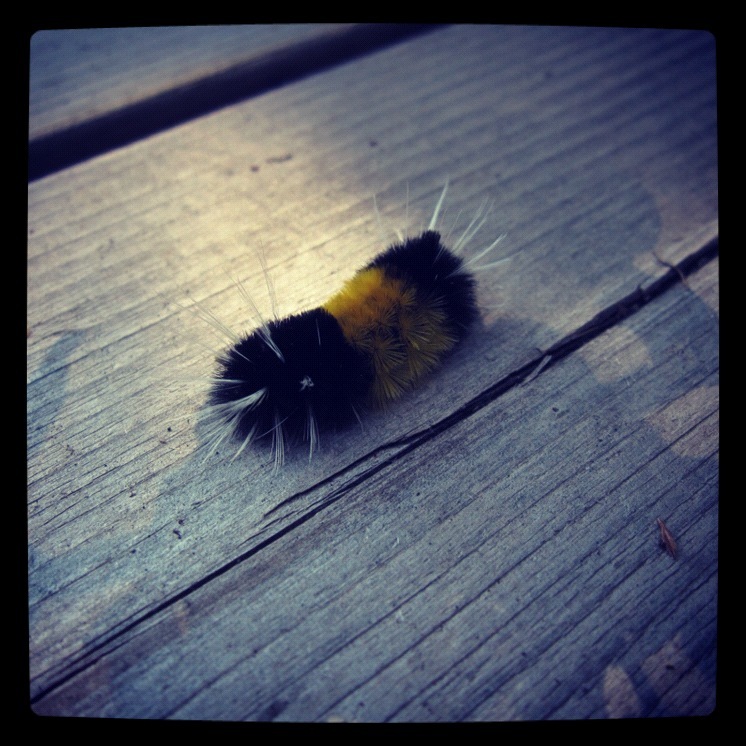 This entry was posted in Beauty, Photography and tagged beauty quote, caterpillar, Confucius, Confucius quote, seeing beauty, Spotted Tussock Moth Caterpillar, Yellow Woolly Bear by Lila Cheekytree. Bookmark the permalink. I love these caterpillars too. They are often called a Yellow Woolly Bear and eventually become a Spotted Tussock Moth – a rarely spotted moth because they are so plain. Which is the reason I selected it for today’s post that everything has beauty…if we look closely. p.s. I snapped this photo on your front porch Diana. I JUST saw a nature show about these little guys. They spend… all summer eating, then hibernating under some twigs (wherein they freeze completely solid). Thaw out in the spring and continue eating. At the end of all this they spin a cocoon, and if they survive, become a moth for like three days before they expire. What a life! But they’re totally cuter as a fuzzy caterpillar.